This fascinating Camino was the route traditionally taken by pilgrims from the South of Spain on their way to Santiago and it is believed to be one of the oldest. 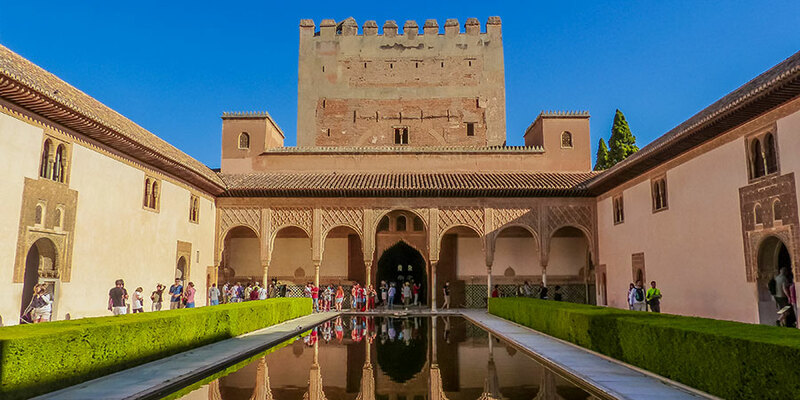 Starting from Granada, where a visit to the spectacular Alhambra palace is a must, pilgrims make their way across Andalucia’s picturesque olive and orange groves to Cordoba and then join the Via de la Plata route in Merida, a UNESCO world heritage city home to impressive Roman ruins. The rich Moorish and Roman heritage of this Camino route will amaze you. 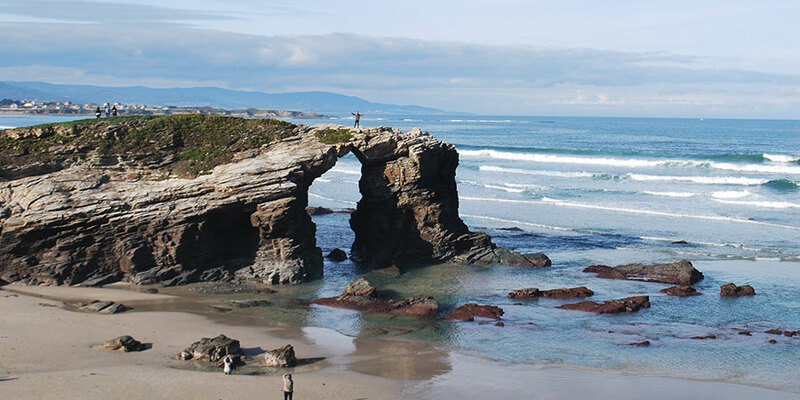 The Ruta do Cantabrico is a wonderful new nature trail, Camino Natural, along the northern coast of Galicia, the Rias Altas. Ideal for both walkers and cyclists, this trail starts from elegant Ribadeo and takes you from town to town, stopping in historic Viveiro and all the way to the quaint fishing village of O Barqueiro. The coastal scenery of the Ruta do Cantabrico will take your breath away, including the views of the famous Cathedrals Beach. Rugged cliffs, sandy beaches, craggy coves and pretty fishing harbours await on this phenomenal coastal trail. Distance: 130kms, suitable for walking or cycling. Price: 7 nights from €595pps (including half-board accommodation, luggage transfers and holiday pack). Pilgrims on the Camino Portugues can now start their journey from the seaside town of Cascais Estoril and make their way to Fatima, Portugal’s most loved pilgrimage site. 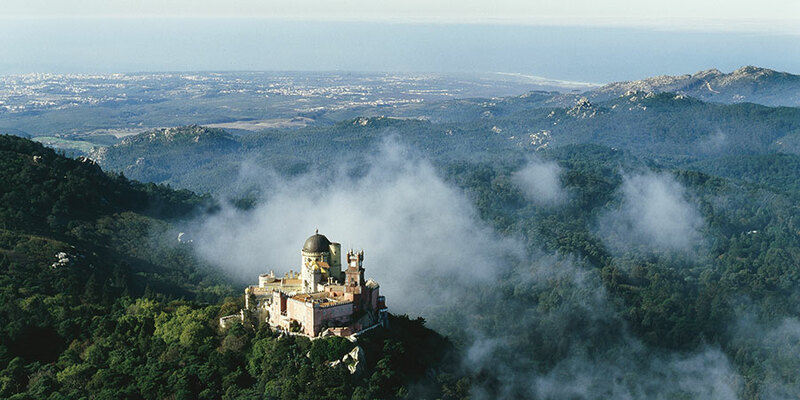 The trail takes pilgrims across the beautiful Sintra Cascais Natural Park to picturesque Sintra, stopping in lovely towns on their way to Fatima and its famous sanctuary. Distance: 207kms, suitable for walking or cycling. Price: 9 nights from €720pps (including half-board accommodation, luggage transfers and holiday pack). 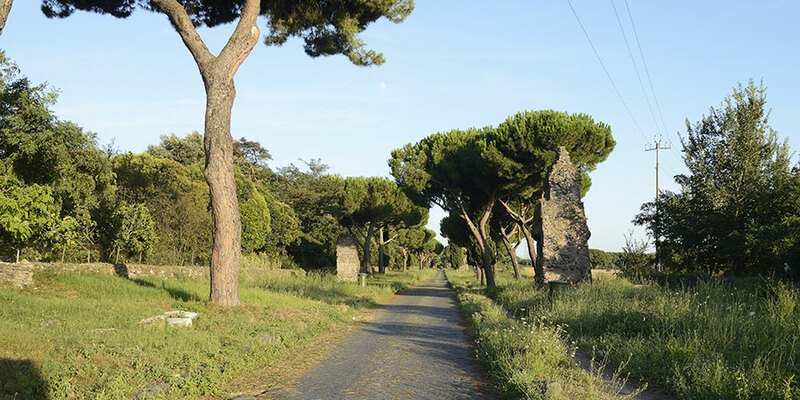 Bike and history buffs will love cycling the Via Appia, Europe’s first highway dating back to 312 BC and one of the most important roads of the Roman Empire. Starting from the coastal town of Formia, cyclists have a chance to enjoy a swim on the Mediterranean before setting off on their journey. The trail takes cyclists north towards Rome, stopping in pretty medieval towns and admiring wonderful ruins and landscapes along the way. Distance: 190kms, suitable for cycling. Price: 6 nights from €1090pps (including half board accommodation, luggage transfers and bike rental). Book your 2018 Camino trip by 31s December 2017 to get 10% OFF. *Offer applies to self-guided Camino tours. Offer cannot be combined with other discounts. Standard packages include half-board accommodation in selected properties, luggage transfers and holiday pack with walking notes, maps and practical information. Cycling tour includes bike rental. Hotel upgrades are available in selected towns and cities, airport transfers. Hi Cecile, if you wish to walk approximately 10km per day we have some tour options on the Camino Frances. We also have the option to split some of the days on the Portuguese Coastal Way. I think the best option is to speak directly with one of our travel team so that you get the best itinerary that suits you. Santiago de Compostela is probably the biggest city you will reach on the tour. You will be walking mostly through small towns and villages. You can reach out to our team directly at info@caminoways.com to get an itinerary to match your needs. Buen Camino, Lisa from CaminoWays. Hi Cecile, thank you so much for getting in touch. Our team will be email you some ideas. We have an easy option to walk the Camino Frances from Sarria to Santiago (10kms per day) that could be of interest and you could add a day tour to Finisterre at the end. Kindest regards. Hi Gloria, yes we have an easy walking option for the French Way and a longer walking option for the Portuguese Way. On these walks you would have to walk between 10 – 15 kms per day. I would suggest planning a customised itinerary with one of our travel team. If you email them at info@caminoways.com they will be able to help you choose the right route. Good luck on your Camino journey. Best wishes, Lisa. I find more than 20 kilometers in a day too much. Is it possible to to take longer to do the walks? I am considering a Portuguese Camino. I am interested if you have a 7 night easy Camino trip that finishes in Santiago de Compostela.